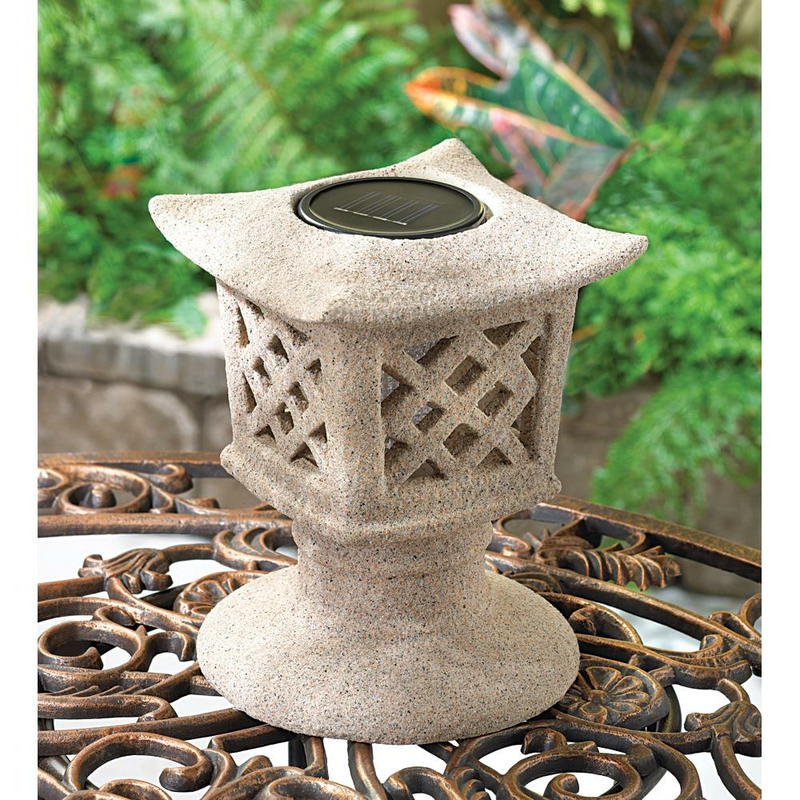 Ancient beauty meets modern technology in this graceful solar pagoda lamp! Resembling a sand-cast temple lantern, the lattice cage of this decorative garden light features a super-bright bulb for bright nighttime illumination. 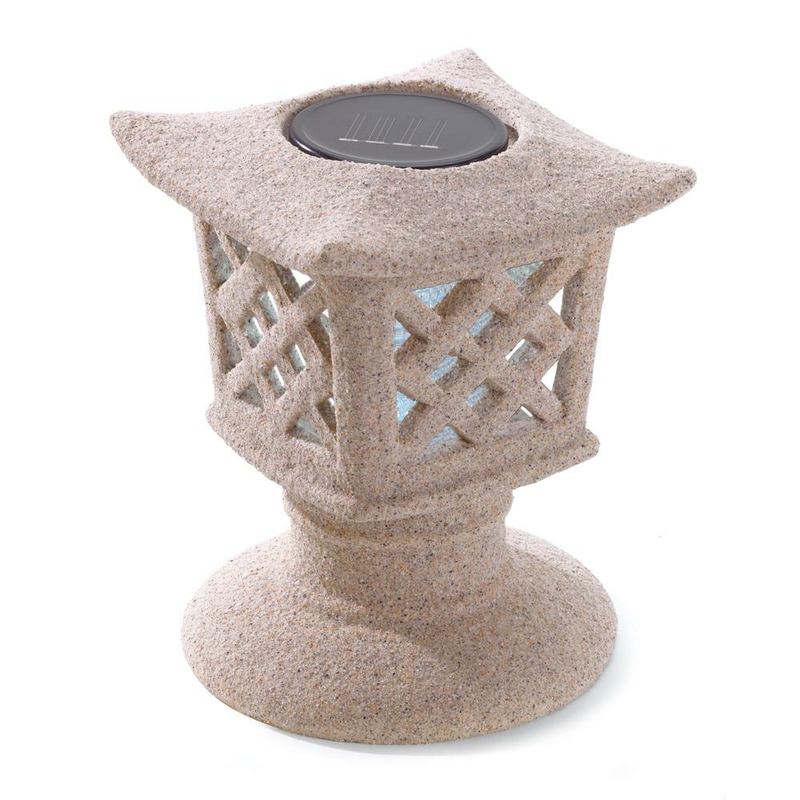 Solar panel at top uses sunlight to charge the lantern-no plugs or cords required! Weight	3.5 pounds. 6.62" x 6.63" x 8.5". Ceramic, Plastic, Solar Panel. 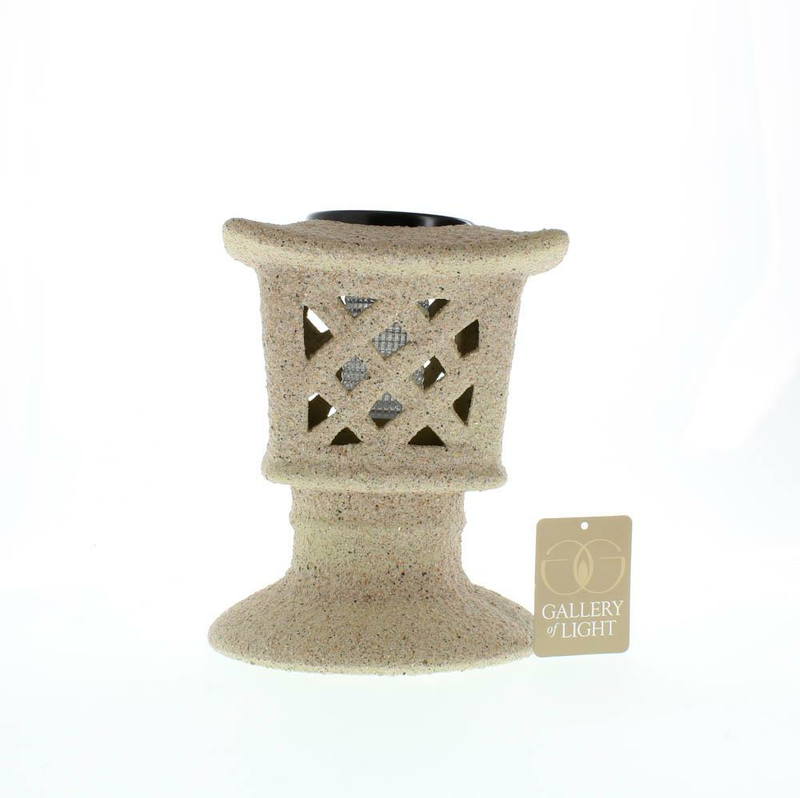 UPC Number: 849179003999.